*Due to being abroad from March 19th until the 28th, I have decided that, for Ayase Miho's impending Graduation this month, I will deliver my thoughts and feelings on her earlier than planned. As her official Graduation date is set for the 27th of this very March month, this post will be about 10 days ahead. No matter where I am within the world though, I will be thinking of Miho no matter what on her graduation day. 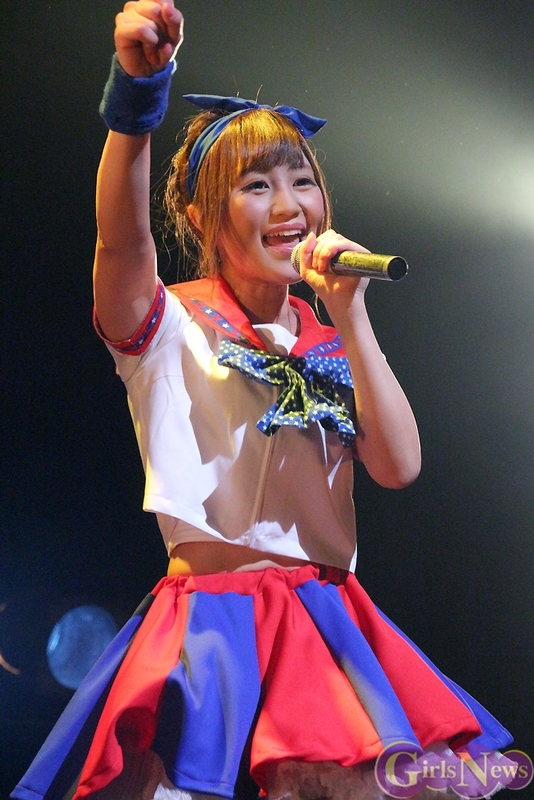 Continuing in what has been a long line of Graduation posts starting back in 2012 with Mitsui Aika and Niigaki Risa's graduations from Morning Musume, I bring to you the first Appreciation Post for the year of 2016, as well as the first to feature an Idol who is not from the Hello! Project lineup, but instead a group I hold even closer to my heart. Here I will share my thoughts and feelings, and reflect on the Idol that is Ayase Miho of Houkago Princess, a girl I love and adore, and someone who I will never forget. Right here, right now, I will think of her and only her, and appreciate all I can, for she is an amazing girl, and deserves to be appreciated like those before her. In this giant community of Western Idol Fans, I know all too well that Ayase Miho is one of the lesser known Japanese Idols on the radar. 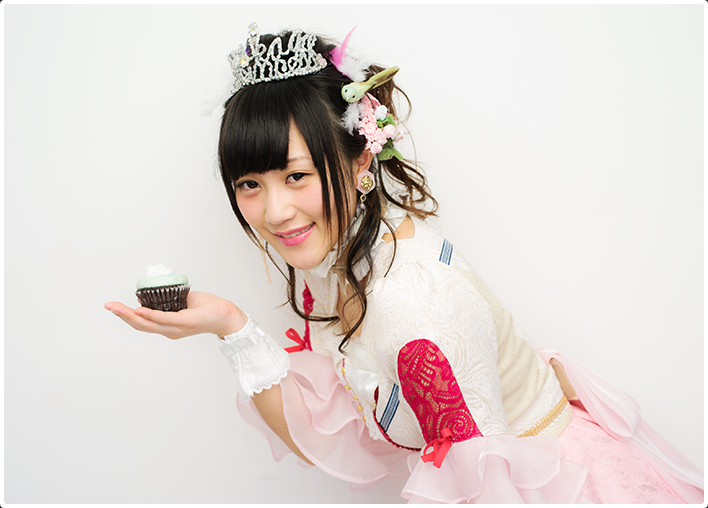 Within Houkago Princess, she is not a front member, nor is she a featured vocalist. She is, however, a beloved member of the group she stands with, and she is kind. Though she is not known so well in the Western fandom we are a part of, there is no denying that she is loved by those who do know of her. I love Mihotan, there is no doubt about that. She is my current #1 Idol and a Queen in my eyes, the one Idol I want to look out for over the rest. The thing is, by thinking so highly of her, it makes this post a lot harder to write out; what can I say, what should I write to appreciate this Idol I adore? Honestly, I don't know, because there is so much I want to say for and about her, because she is just so wonderful. But I also want to cry, because my heart is breaking. I have not felt this sense of devastation and loss with a graduation since... well, since Gaki left MoMusu and Erepyon left the Entertainment world. It's because Mihotan is my Kamioshi, and within this world abundant with Idols, she is the one I stand above the rest, and when she does finally leave, I know that I will really miss her with all of my heart, because she is just so important to me. She has been my favourite Idol for well over a year now, entertaining me with her rather placid features yet entertaining twitter picture antics. Her sweet nature was always apparent and charmed me immediately, whilst her obvious 'my pace' nature was cute but fun to watch develop as she grew into being an Idol. In my eyes, she was one of those Idols worth watching, because whilst she did fade into the background for some time in her short career, she soon grew into an Idol with presence and grace that could rival that of the other members, making her pretty amazing in every way possible. Originally the classic underdog within the Idol world, Mihotan really was a background member until her promotion back in 2013; plain in looks, few outstanding qualities and the last of her generation to be promoted, many would have pegged Mihotan to be one of the many 3rd gen members to drop out before a year was up. Thing is, she didn't leave. She was never kicked out, nor was she suspended. Mihotan stayed, and she has stayed a long time for a HouPri member, all the while going at her own pace and taking everything in her stride. Not once did she give up on being an Idol. Now, four years strong, she has decided that, at 25 years of age, it is her time to graduate and pursue a new path, one that she will take at her own pace once again. Mihotan has grown so much since joining HouPri. Sure, her voice isn't that strong (or that pretty), and her dancing is not as great as everyone else's, but what is wonderful about her growth is that she's become a lot more self-assured. Her performances on stage are confident and bright, her charisma on camera is better, and she herself shines in a way that makes you notice her. Sure, she's not the most shining Idol within HouPri, but she still stands out in her own way, and she grabs your attention with her demure looks and sweet disposition. And then, when she smiles, it's as if the world lights up, because Mihotan smiles with both her eyes and her mouth. In everything she does, she is genuinely happy, and she is always putting in 100%. For me as a fan, that makes her incredible. I adore this girl so much, I can't even begin with why. She just makes my world a happier place in a way because, when I look at her, when I watch her perform on my HouPri PV's, I feel elated and energised. This relaxed and gentle looking girl, who puts everything into her performance for the fans and her supporters, gives me life. She makes me want to put effort into everything I do and to go forward with a smile. Mihotan, of all the HouPri members, is the one who inspires and encourages me just by being there. I feel so lucky by just being her fan. Whatever she does, Mihotan succeeds in making me feel so happy whenever I watch or listen to her. In four short years, Ayase Miho has blossomed. She has become a better performer, and an Idol who truly loves what she does. She creates memories and happiness, pursuing what she enjoys the most with 100% energy and effort. From one of the weakest 3rd generation members who debuted back in 2012, Mihotan has proven herself to be more than we would ever think. Now, she stands tall as one of HouPri's longer running members, a girl who has seen the ups and downs of the Idol world, the pains of multiple graduations and member suspensions, as well as the joys of seeing the fans' smiling faces and coming to know the members she stands beside today. In these past four years, Ayase Miho has become one of HouPri's loved and recognised. She exceeded in all they gave her, became a regular member and, thankfully, never let the sadness of losing so many members over the past few years deter her. Mihotan stood strong, and finally, she was able to come to the decision herself to graduate with happy memories and a smile on her face. Mihotan is truly a wonderful Idol, and for these past four years she has brought joy to many. She makes me feel so happy when I look at and watch her, and now, knowing that she has left the Idol group I love, I can't help but feel sad and lost. She is my kamioshi, and she will be for a long time, because Mihotan is someone to appreciate, respect and admire in many ways. She pursued a dream, she lived through the ups and downs of the Idol world, and now, she is ready to leave and pursue other things, ready to go through life at her own pace once again, ready to live through and grow a new dream. I have cried so much knowing that her graduation is near, because I will miss her so much once she is gone. The thing is, I am also happy that Miho is graduating, because of this; graduation is a chance and a choice that so few within HouPri have experienced before this. With such a bumpy history, one rife in suspensions and dismissals, Ayase Miho is one of those rare few who will leave this group with a formal ceremony, as opposed to a sudden notice announcing her permanent absence. On March 27th 2016, she will leave Houkago Princess with no regrets and a smile upon her face, and walk down her path towards a new future where she will write her own story, and support Houkago Princess not as a former member, but as a new fan. I will miss you so much, Mihotan, but I am glad that this is what you wanted for yourself. Being an Idol does not last forever, no, but the memories your fans will have with you, as well as the memories you have created for yourself , will be with you for a life time. For being a part of Houkago Princess and for becoming our wonderful Idol, I thank you. I don't think you realise just how many people you have made happy, not only in Japan, but in other parts of this world, too. Walking this Earth at her own pace, Ayase Miho became an Idol who shone just as brightly as those around her. Now, she will continue to walk on at her own pace, but without Houkago Princess to lead her. From here on out, our own My Pace Chairman will live a life that is completely her own, but through it all, I know for sure that she will continue smiling and that she will never give up on whatever she pursues. She is HouPri's hidden treasure, a member who grew from their hardships and found happiness in all they experienced together. Living with no regrets, Ayase Miho will pass through the school gates and graduate with flying colours. Ayase Miho, Sotsugyou Omedetou! 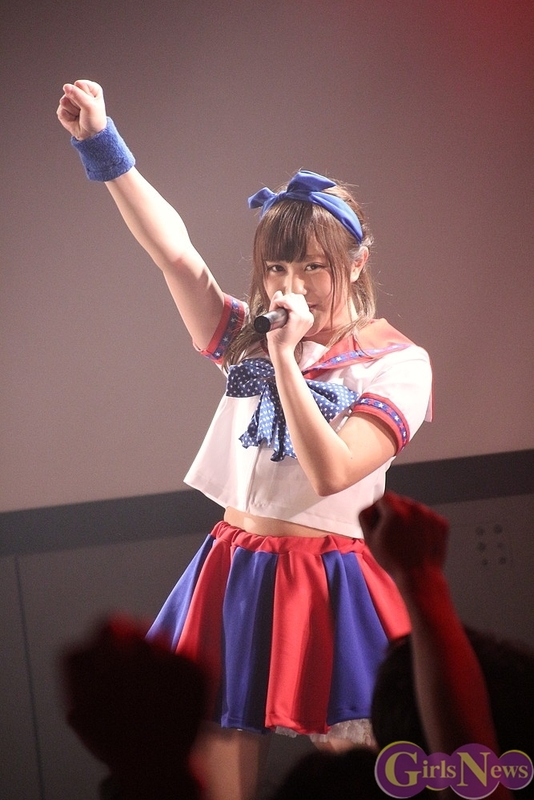 As an Idol or an Ordinary Girl, Please Move Forward at Your Own Pace!